Those were the good old days, when gambling addicts had to at least enter such an establishment to be taunted by the prospect of a jackpot. Now the teasing comes through pop-up ads on smartphones, TV adverts, social media. Bet Big! Win Now! 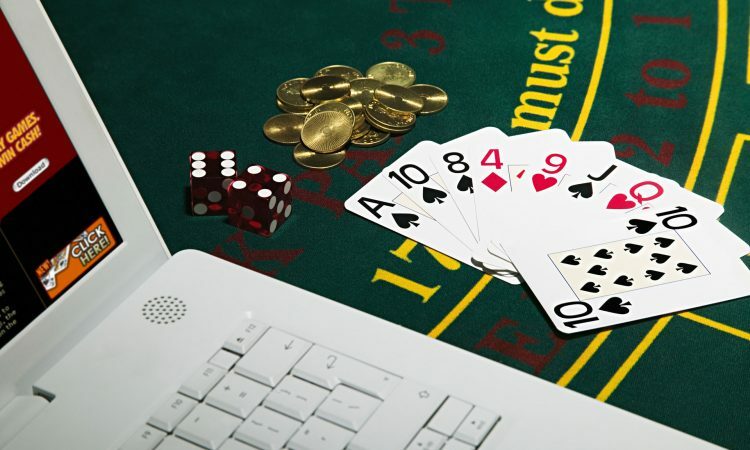 The online gambling industry has become too pushy, too powerful, too greedily parasitical on the appetites of punters, and it is time the government act to curb its excesses. In recent years much of the debate on gambling has focused on fixed-odds betting terminals (FOBTs), the addictive machines on which users can bet up to £100 every 20 seconds. A high-profile campaign to slash the maximum stake to £2 a spin has gathered a chorus of voices behind it and we can be cautiously optimistic that when the government concludes its review later this year there will be a significant reduction in the stakes allowed. This would be welcome but FOBTs are only part of the problem. Those denied high-stakes, high-speed games in the bookies can always get them online, and there are indications that this is a bigger issue. Self-exclusion allows problem gamblers to request that they be banned from websites or betting shops. The Times recently revealed that there were more than a million such requests last year, and 95 per cent were for online gambling. Think what this means: a product so intoxicating, so corrosive of willpower that people must ask to be not allowed near it. In total £3 billion was lost online last year. Now that an age-old vice has been turbo boosted by modern technology we are seeing an epidemic of online gambling addiction. The National Centre for Problem Gambling has seen an explosion of people hooked on smartphone betting. The number of problem gamblers is estimated at around 350,000. It has been called “the invisible addiction”. Those in its grip are not staggering around drunk or high on drugs. Addicts secretively chase their losses, digging a deeper hole in the hope of getting out of their debts, handed ever bigger spades by the gambling companies. Gambling advertising is relentless. The number of adverts has increased fifteenfold over a decade, from 90,000 in 2005 to 1.4 million in 2014. TV ads insist that gambling is life-affirming, a sprinkle of colour on the greyness of the daily grind. Virgin Games urges: “Live a little.” One campaign tells punters to “Live the Ladbrokes life”, showing a gang of mates having raucous fun through their laddish love of gambling. While some gambling advertising is banned before the watershed, it is allowed for bingo and live sporting events. Ad breaks in football matches are filled with exhortations to bet. Children watching must assume that half-time is not about eating oranges but for putting a tenner on Romelu Lukaku to score next at 3/1. Of 20 Premier League teams nine will have their shirts sponsored by a gambling company next season. As well as being relentless, the marketing can be highly misleading. You’ve seen the teases of free bets but have you read the small print? Introductory offers of, say, a £100 bonus if you bet £100 often come with a massive sting in the tail, in that you can only withdraw that money if you wager several times the amount offered. A recent investigation from the Competition and Markets Authority found that customers were sometimes forced to play hundreds of times before they could withdraw their winnings, unable to “quit while they’re ahead”. There is always a balance to be struck between allowing businesses to ply their trade and regulating for the common good. In the case of gambling the common good is losing. Some might point at the tax gained; in 2014 the coalition sought to tackle the issue of online gambling companies basing themselves offshore with a 15 per cent point of consumption tax. Yet on the other side of the ledger is the cost of problem gambling to government. A report by the IPPR think tank has estimated that could be up to £1.16 billion a year when the burdens on mental healthcare, benefits and the prison system are taken into account. And there are immeasurable costs: the misery of gnawing addiction and the families destroyed. The government could act on several fronts. If its triennial review into stakes and prizes can look at dramatically reducing FOBT stakes it should also look at the maximum stakes allowed online by UK-regulated operators. It should insist on multi-operator exclusion, through which a user need only make one request to be banned. A public health campaign could warn of the dangers of regular binges online. The “free” bets that entice people in should be honest or they must be scrapped. And if it had any guts the government would not only clamp down on daytime advertising but ban the promotion of gambling altogether, just as we did for smoking. In her first speech as prime minister Theresa May promised “ordinary working people” that “when we take the big calls, we’ll think not of the powerful, but of you. When we pass new laws, we’ll listen not to the mighty, but to you.” When it comes to online gambling her government must heed not the self-interested cries of the bookies, but the people whose appetites and addictions they prey upon. Will the industry ever curb its excesses voluntarily? I wouldn’t bet on it.